The leadership of a pan-Yoruba pressure group: the Agbekoya Farmers’ Society has pledged support for the Peoples Democratic Party (PDP) presidential candidate, Atiku Abubakar in the coming presidential election. In a meeting with the Deputy Chairman of the Peoples Democratic Party Presidential Campaign Council (South), Otunba Gbenga Daniel, the group expressed their interest in the presidency of Atiku as a result of his developmental policies especially the issue of restructuring which they said will allow every zone of the country to develop at its own pace. In the words of the National Secretary of the group, Dr. Moses Ogunsanya, “the hardship facing the farmers are enormous and these can only be surmounted if there is a responsive government who will be alive to the yearnings of the people especially the farmers whose contributions to a nation’s well being is not negotiable. “We have read Atiku’s plan on tackling this disease and we are satisfied with it. We also read his plan on restructuring and once he implements that, the fortune of this country will skyrocket,” he said. Praising the leadership qualities of Otunba Daniel, the farmers expressed their hope that things will change for the better under a government headed by a competent and visionary leader who can guarantee security of lives and property of the citizenry unlike the current situation where the people live in palpable fear and uncertainty. In his response, Otunba Daniel thanked the group for the solidarity and endorsement of the PDP flag bearer in the presidential race. Their choice of a candidate in Atiku, he said, was timely and of necessity because the Yoruba race must be repositioned to take its rightful place in the comity of States in the nation likewise other zones who will benefit from the restructuring agenda. “The issue of clashes between Herdsmen and Farmers is one that should be of concern to a government that was elected to protect the people. Having tried a government for a period of four years without any meaningful change but rather, apathy and insecurity, it is high time we did the needful by electing a president who will change the fortunes of the people for the better and ensure equitable distribution of dividends of democracy among Nigerians. And that can only be the former Vice President, Atiku Abubakar, he concluded. 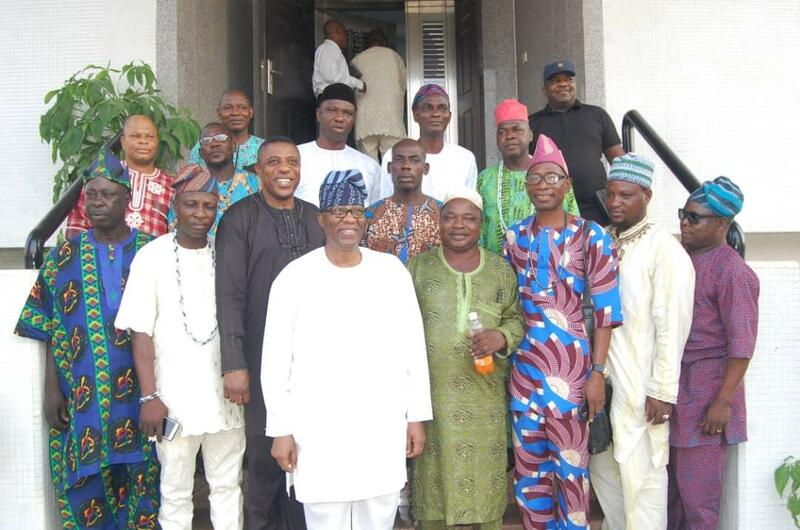 Present at the meeting were officers of the body which included Chief Titus Olaoye, Sufianu Asuwaju, Baruwa Yusuf, Taofeek Yusuf, Moses Enojiasun, Adewale Jimoh, Alufa Adebanke, Chief Bamidele Olatunji, Olaseni Egbeyemi, Raimi Tunde, Dr. Moses Ogunlana, Chief M. Saludeen and Wasiu Shitu.